Mr. Stone is a Registered Patent Attorney and member of the Bars of the District of Columbia and the State of New Jersey. He began his legal career as a Patent Examiner and later as an attorney in the Patent Department of the Colgate-Palmolive Company where he was a Senior Patent Attorney and Managing Patent Counsel. 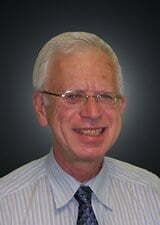 He has extensive experience in domestic and foreign patent prosecution, primarily in the chemical arts. At Colgate-Palmolive he worked on inventions primarily in organic chemistry and consumer products. Robert has reading fluency in many languages and has prosecuted numerous patent oppositions in the European Patent Office as well many national patent offices. Robert was awarded his JD from George Washington University.